Title: Miss Moon Was A Dog Governess. 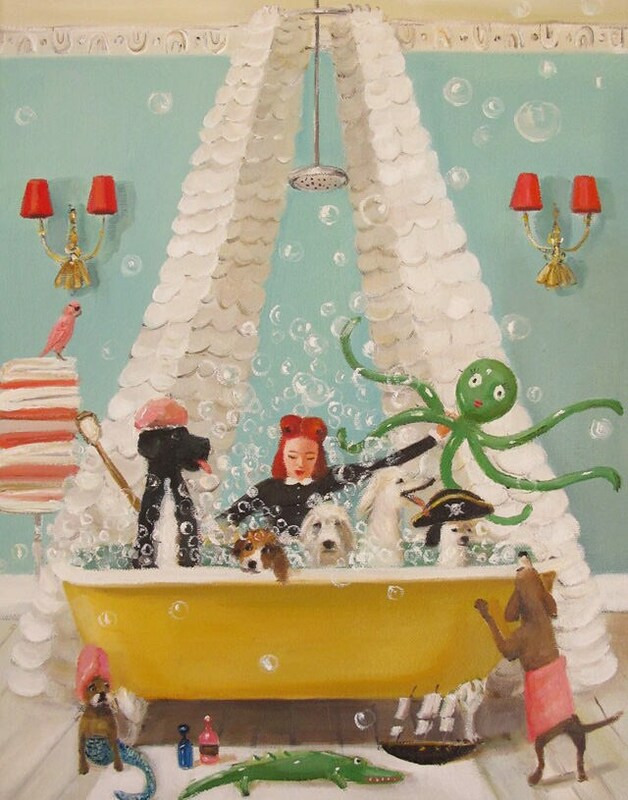 Lesson Thirteen: With A Splash Of Imagination, A Mundane Bath Becomes A Nautical Adventure. Capture Sea Monsters, Battle Thieving Pirates, And Observe Mermaids In Their Natural Setting. Image size: Approx 10.75"x14". Paper size: 13"x19". This image is a part of my Miss Moon Was A Dog Governess series.